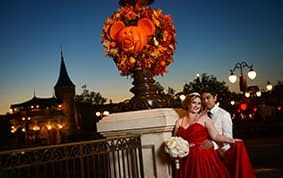 It's the Halloween season, and both Walt Disney World and Disneyland Resort are celebrating the spookiest time of year! 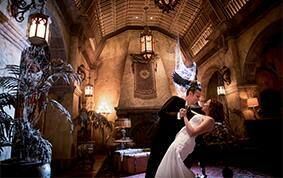 Whether you are looking for not-so-scary or very creepy, there are settings for all tastes and aesthetics. 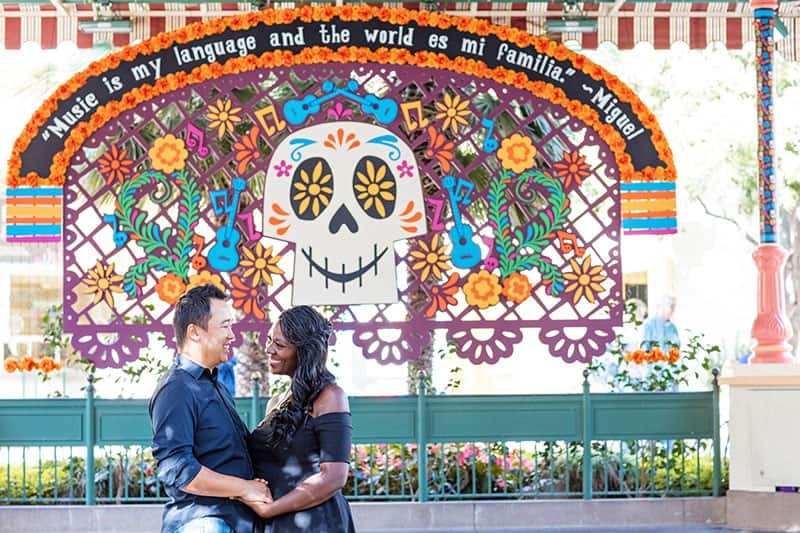 From Main Street U.S.A. and the Tower of Terror to the Haunted Mansion and Cars Land, you can find the parks decorated with fall-inspired decor. 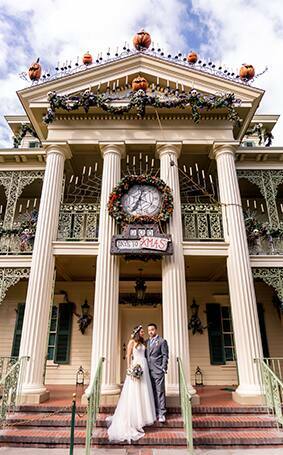 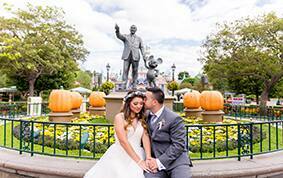 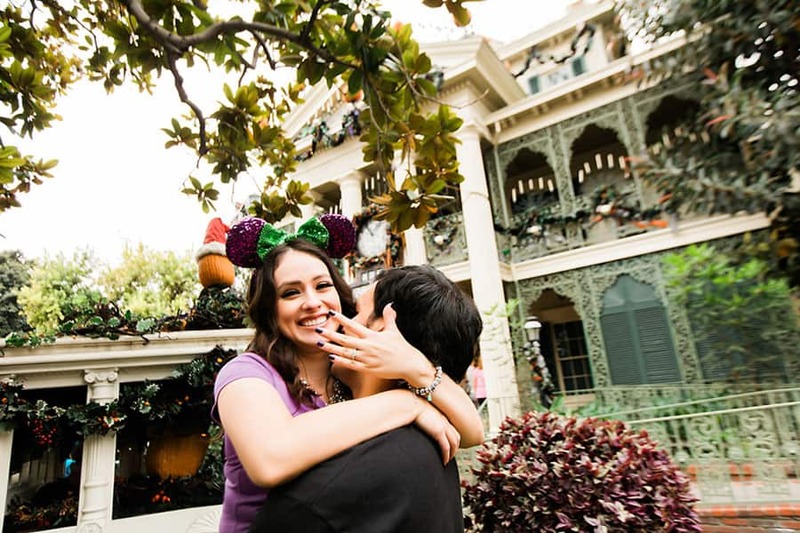 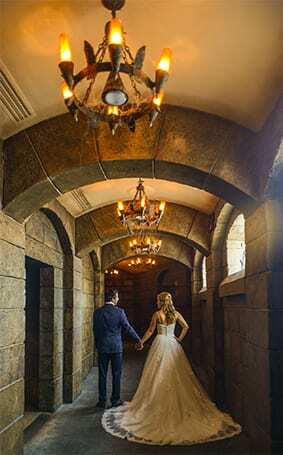 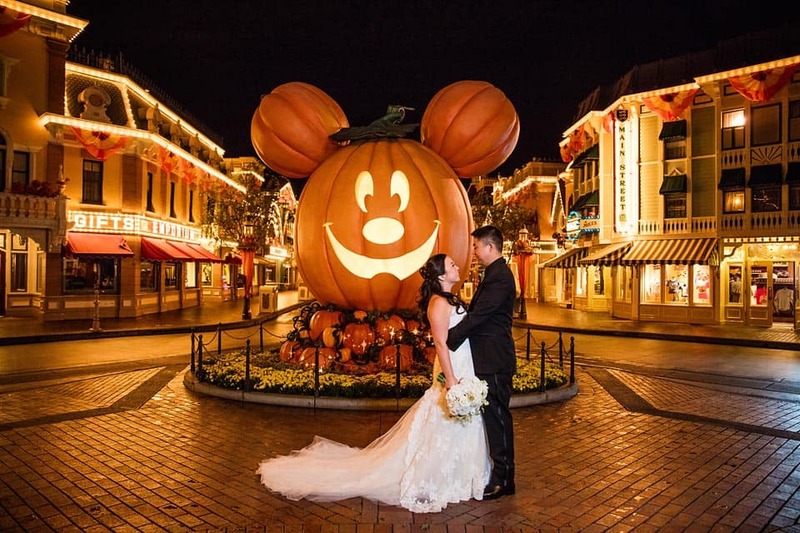 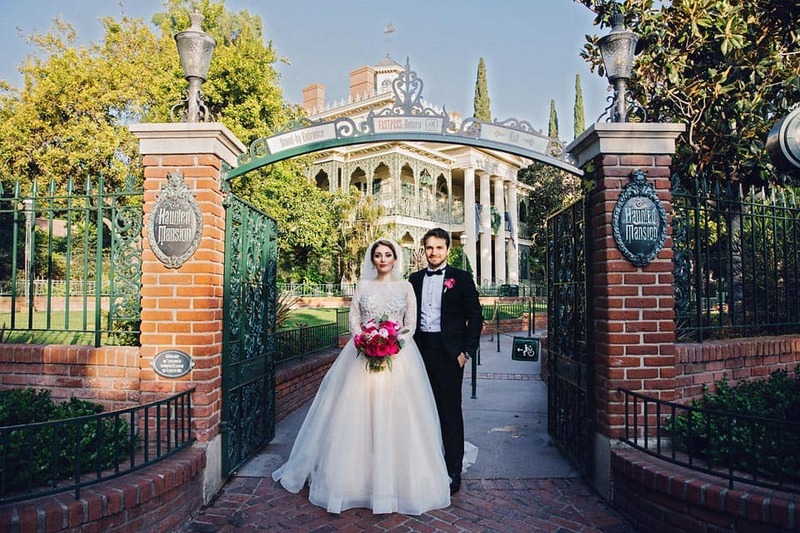 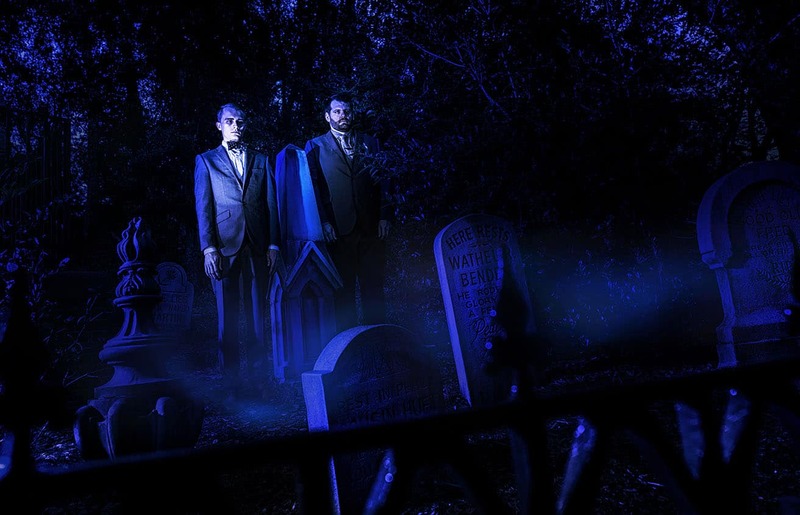 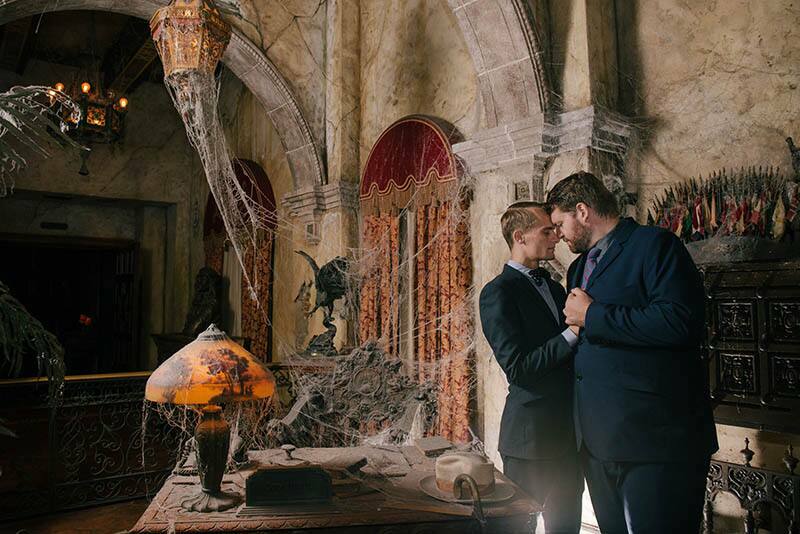 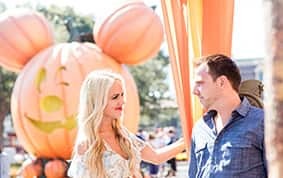 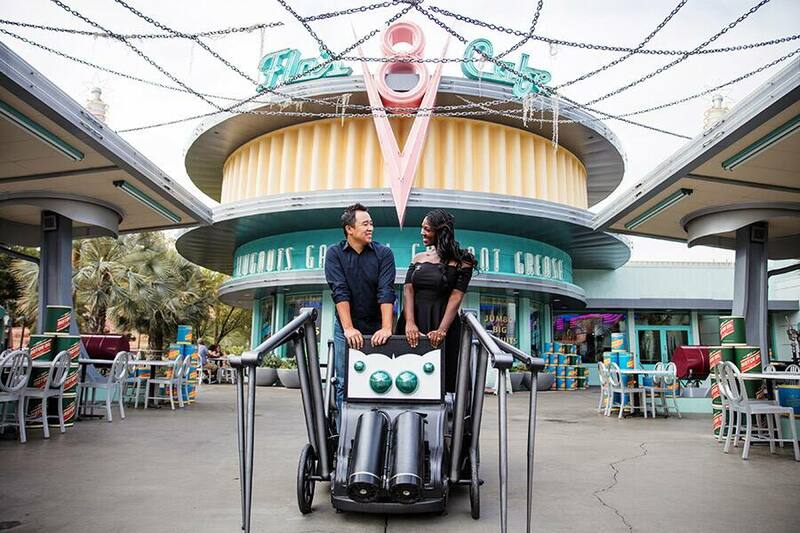 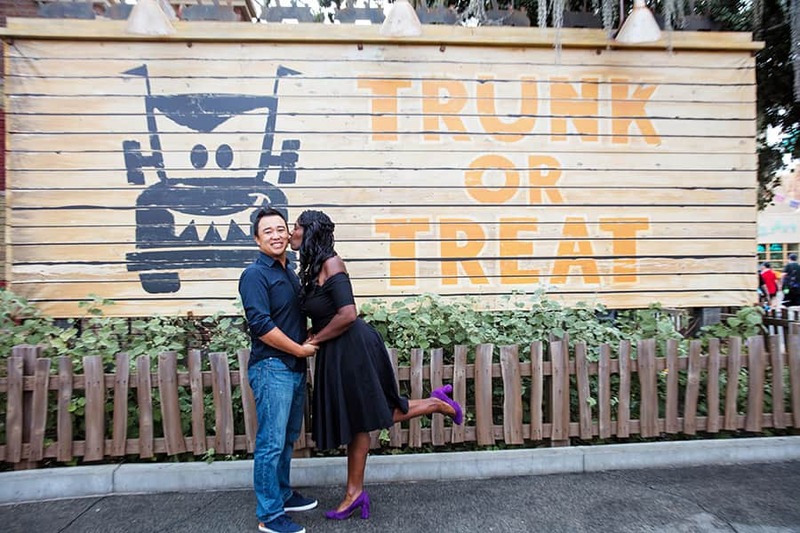 This is the perfect time for our Disney couples to have a spook-tacular portrait session.